Life has been a little bit hectic recently and I forgot to share with you my customer thank you cards for September! Better late than never I guess! I CASED this card from one I saw on Pinterest that used a complete stamp for the flowers on the cat. I didn't have that stamp set so I set about creating the cluster of flowers myself using the Happy Birthday Gorgeous stamp set. I stamped the images close together and then I took the Spooky Cat Punch and punched out the cat shape and added the face. 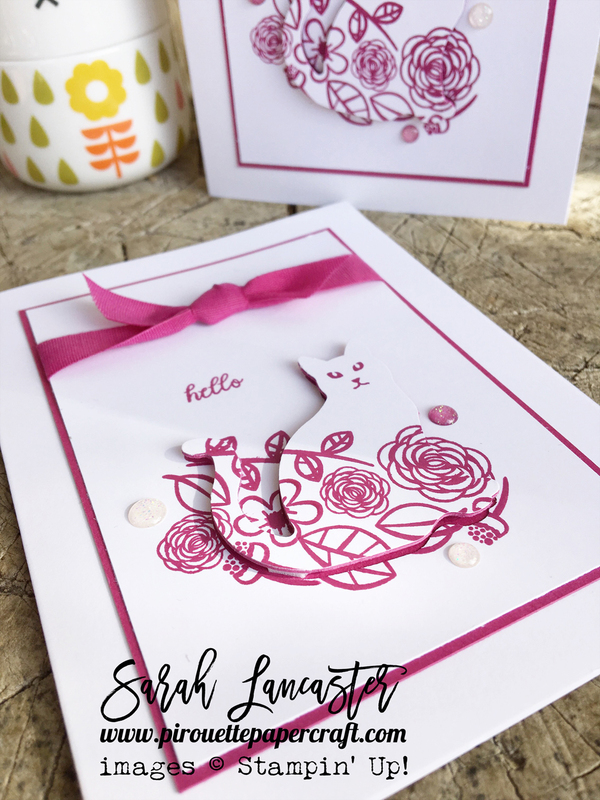 Then I punched two more cat shapes in Berry Burst card stock and adhered these behind my stamped cat shape. 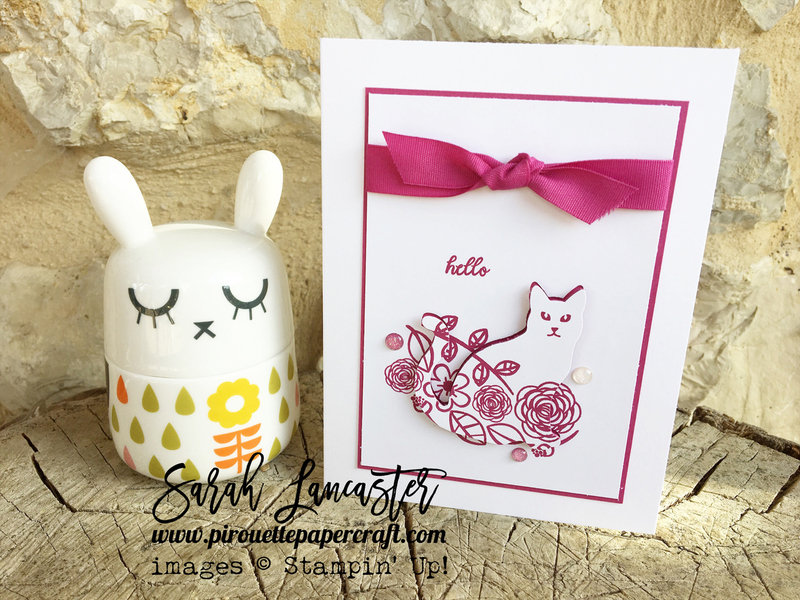 I popped this cat shape back into the gap using Stampin' Dimensionals, you can see how I constructed this on the above photo. 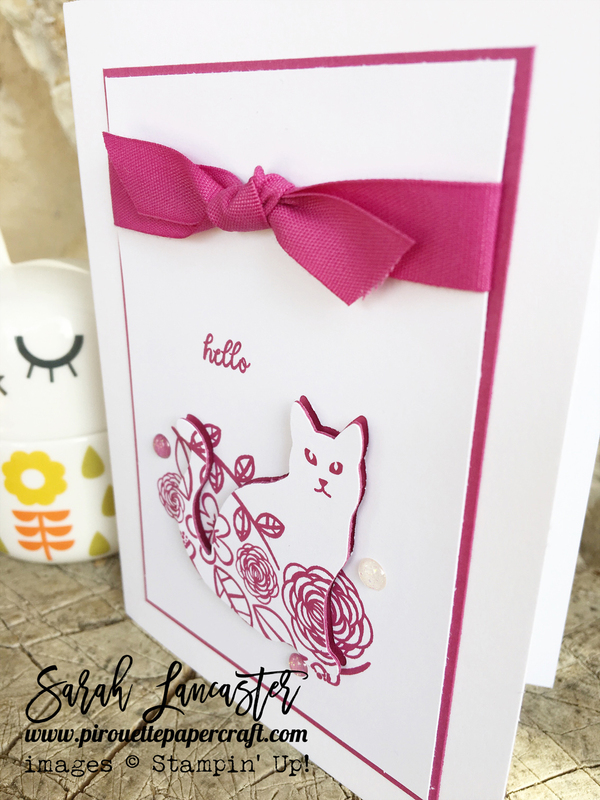 I added some card stock layers, a pretty ribbon and some gems for a quick and simple card that looks stunning. I know a lot of my customers are cat lovers and this card was much appreciated by them.